Buying tech Smartly IS Difficult. Sam Grobart Reduced a lot of hard-Earned and complex wisdom to Seven Rules of thumb in the New York Times. I WAS Pretty impressed with this list Because I think his Advice IS Sound and he WAS ABLE to reduce it to short rules of thumb. Here are his seven rules, each one a trade off, as annotated by me. When buying hi tech …. * Pay for RAM, not speed. The speed of the computer chip does not matter; the attention-span or RAM memory does matter. * Pay for Messaging, not minutes. On your phone, your Texting IS more expensive than your voice time. * Pay for components, not Cables. Buy the best components, and the cheapest Cables. * Pay for speed, not channels. For cable Internet, with enough speed you CAN Watch TV channels on the Internet for free. * Pay for AppleCare, not MobileMe. For Applefans, the Apple Insurance IS worth it, but Their Cloud service IS not. * Pay for screen size, not refresh rate. On TV screens, bigger size Makes a difference while refresh rate does not. * Pay for sensor size, not pixel count. On today’s Cameras you’ll Have enough megapixels; better quality Comes from Larger sensors. 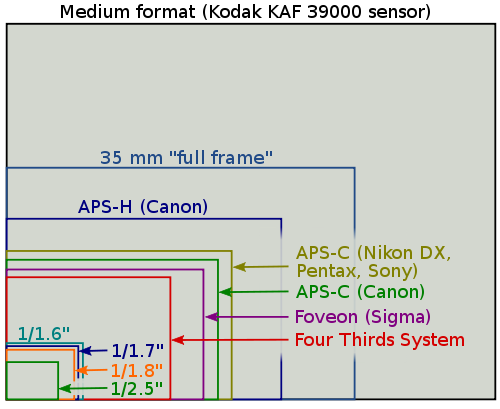 Relative sensor sizes in Various camera Families form here . * Pay for reliability, not Mileage. On a car, you’ll Spend more of Repairs and maintaince over its lifetime than you Will on a difference in gas. * Pay for comfort, not Weight. A Bicycle’s feather Weight IS Moot once you add Water Bottle, a Bag, any extra clothes you Wear, while its comfort Never Disappears. * Pay for foam, not down. The biggest difference in the Warmth of a Sleeping Bag IS the Insulation under you, not the down over you. * Pay for glass, not shutters. In Professional Cameras, great Lenses endure, while the camera Bodies Change and Go OBSOLETE. Pay for speakers, not the amp. – – – When Purchasing a Sound System, better quality speakers Will make more a difference than a better amp.